A new series of ponds have been created at Snaith in Yorkshire. The ponds have been created as a part of a flood management project with Environment Agency and Yorkshire Wildlife Trust. 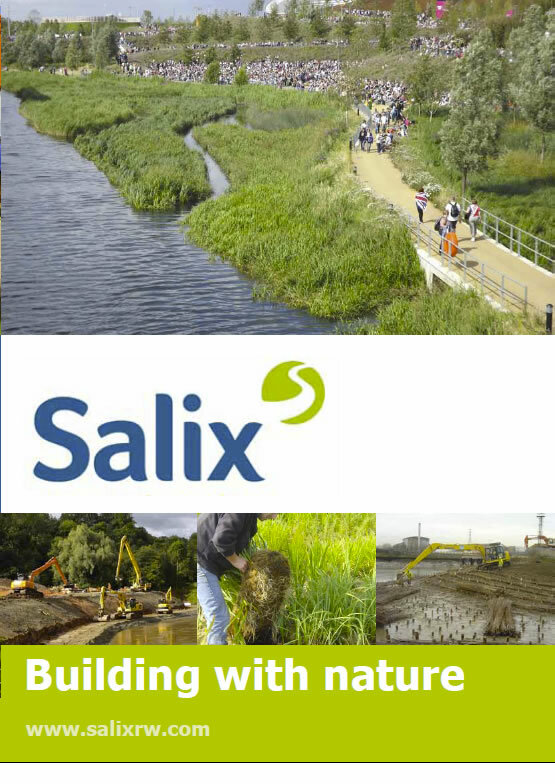 Salix provided around 446 linear metres of Coir Pallets planted up with our standard mix of native species and 50m2 of Phragmites australis to create an instant habitat in the ponds. These provide important shelter for a wide range of invertebrates as well as fish and birds. Both the plants and Coir Pallets will provide a water management function as well as a habitat. They will slow down the flow and reduce silt as well as other pollutants from getting into the water course. The pallets were planted with a a wide variety of native species including marsh marigold, yellow flag iris and water mint.